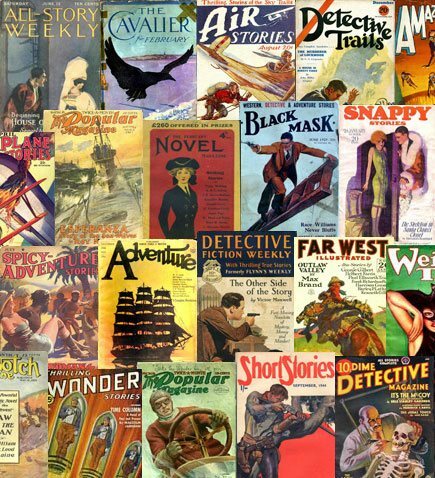 The Pulp Magazines Project is an open-access archive and digital research initiative for the study and preservation of one of the twentieth century's most influential print culture forms: the all-fiction pulpwood magazine. The Project also provides information and resources on publishing history, multiple search and discovery platforms, and an expanding library of high-quality, cover-to-cover digital facsimiles. The images and materials associated with this site are intended strictly for non-commercial and scholarly uses. If you have any questions or concerns, please email us here.